Along with most of the world I am in love with the Karissa heel by Tony Bianco. quite that much on any heel and have found no other Karissa alternative in stores around Brisbane. 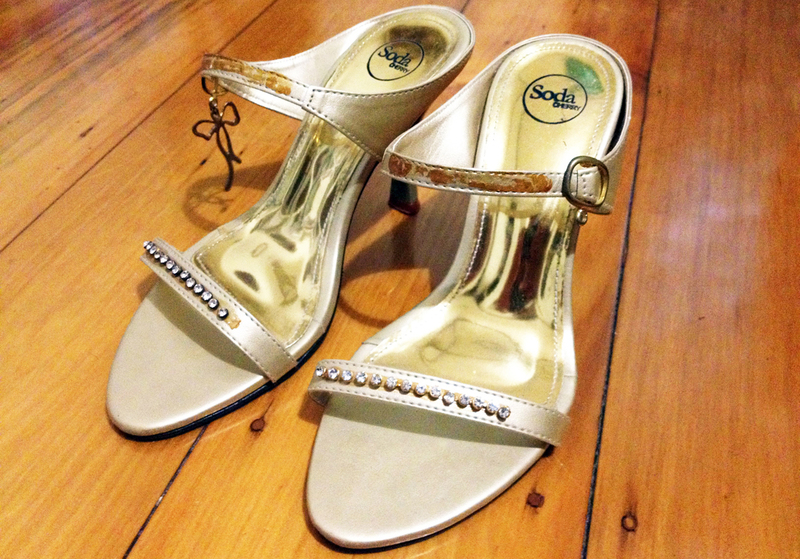 of $4 gold formal style heels and knew that they were the DIY project I'd been waiting for. As you all know, I'm not into labels as such, I just like what I like, so these were perfect. 1. I find black more elegant and versatile so I needed a colour change 2. The diamante strips just screamed Year 12 Formal to me, and 3. The bows hanging from the clasps on the side were a no-go. They're no Karissa but I'm pleased with the outcome and they're a fraction of the cost to buy a pair. Apologises for the really dodgy photographs - hopefully I'll be buying a new camera tomorrow then I'll be getting into some definite outfit posts. So much to look forward to in the next few months!